Composite lifter bars are usually used in ball mills. They are able to improve the lifting force of the medium so that a better lifting effect can be achieved. Composite lifter bars for mine mill adopt bolt set way which brings convenience to installation and efficiency to grinding machine. Currently, they are mainly employed in mine industry. 1. Composite lifter bars are of high wear resistance, anti-corrosion and stable performance. 2. Simple and light, they are easy to install and repair. 3. Composite lifter bars for mine mill are very suitable for automatic and semi-automatic grinding mills. 1. Composite lifter bars have strong tenacity and long service life. 1. 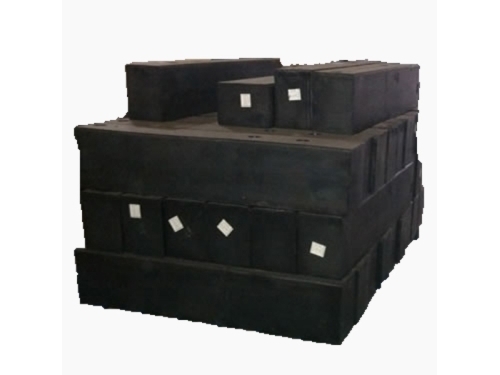 Composite lifter bars should be packaged in iron cases. 2. Available shipping ways are ocean shipping and land transportation. 1. L/C and T/T are two accepted types of payment. 2. Composite lifter bars for mine mill should be delivered within 30 to 60 days after receiving down payment. Field installation and maintenance will be provided if the purchase orders reach a certain amount. Through eight years’ development, Jiangxi Naipu has become a professional manufacturer of mining equipment and spare parts, including composite lifter bars, rubber liners, etc. The company has set up close relationships with many famous universities in China which provide lots of technological supports. Besides, the company also employs natural and eco-friendly raw materials. All our products win certification by ISO9001. We welcome your visits and consulting.